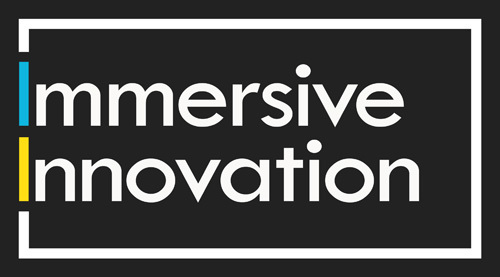  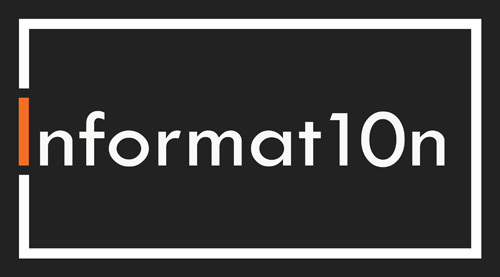 On this page you will find images, video tours & information about each of our immersive exhibition spaces. 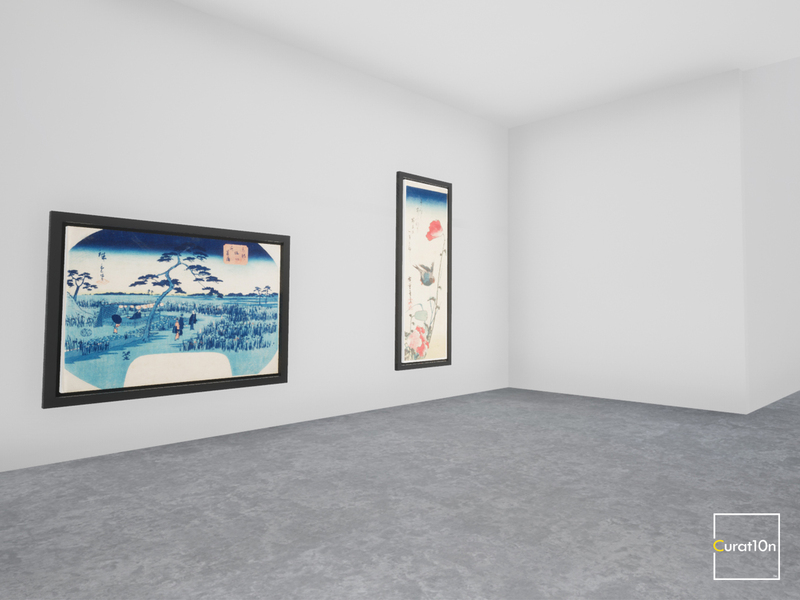 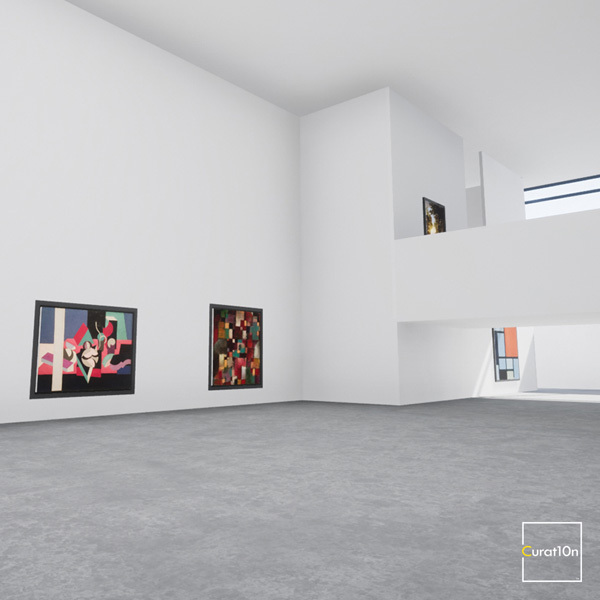 You can download one of our virtual galleries & explore it in 3D on your own computer.  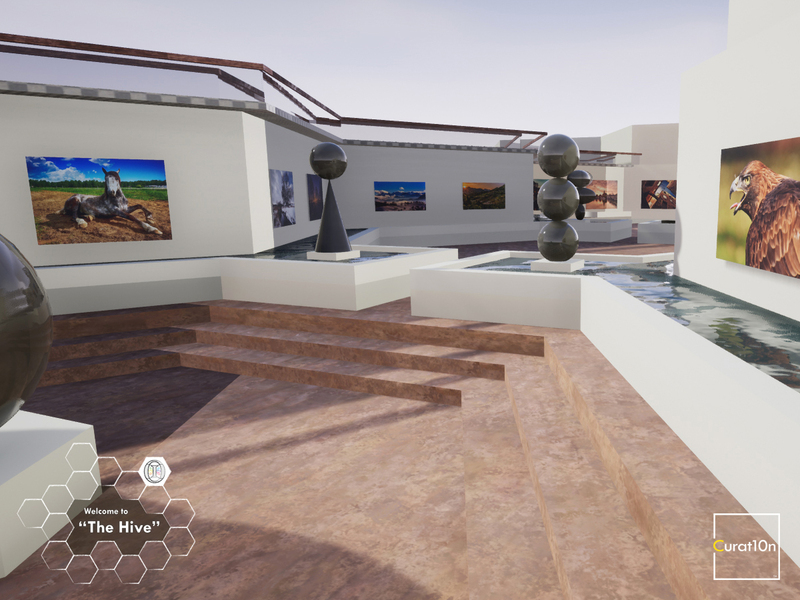 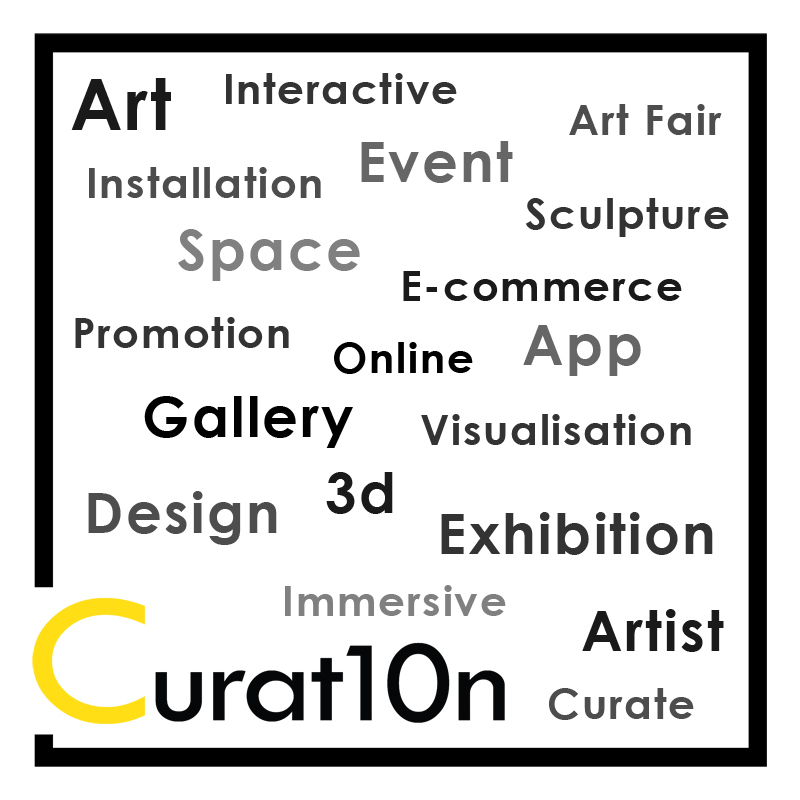 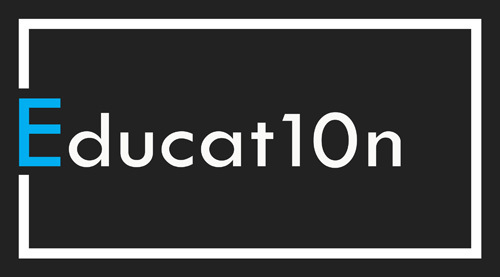  Or watch a video tour to learn about the features of a virtual exhibition & imagine sharing your artwork around the world. 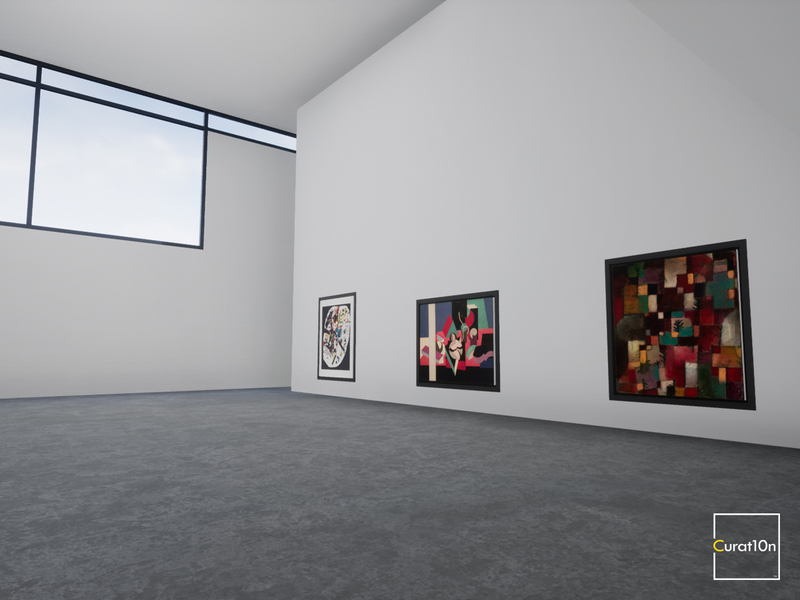 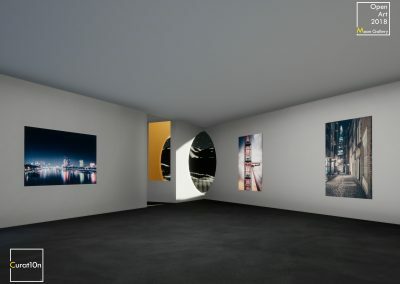 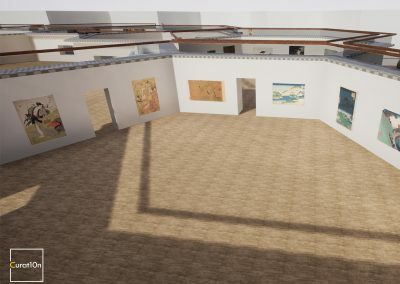 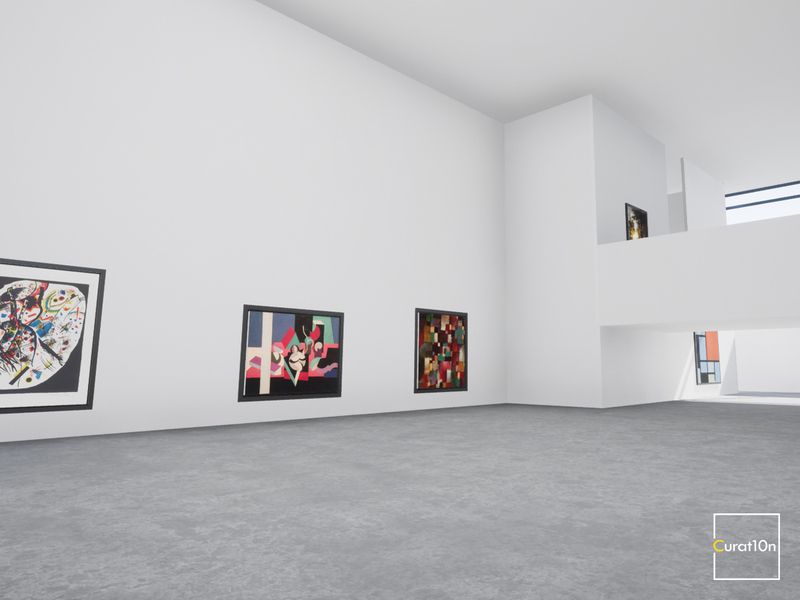 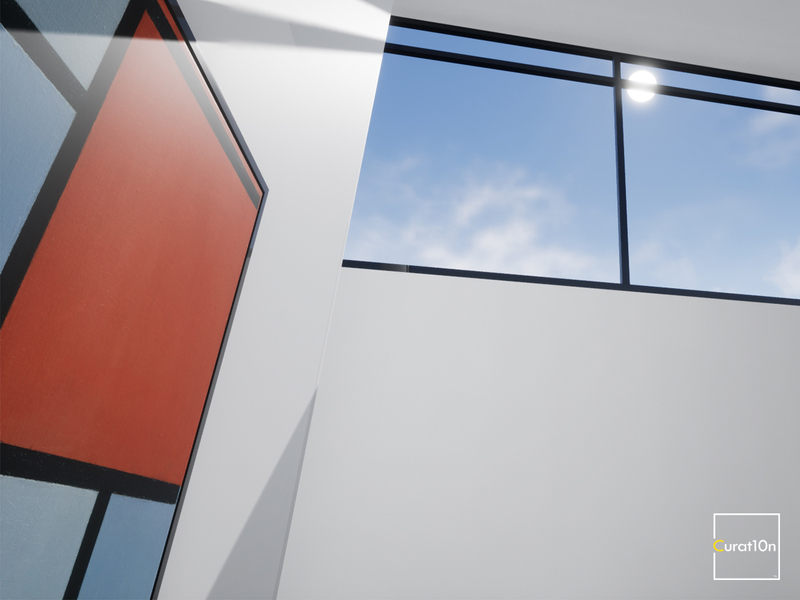 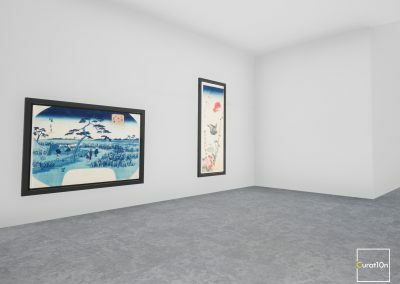 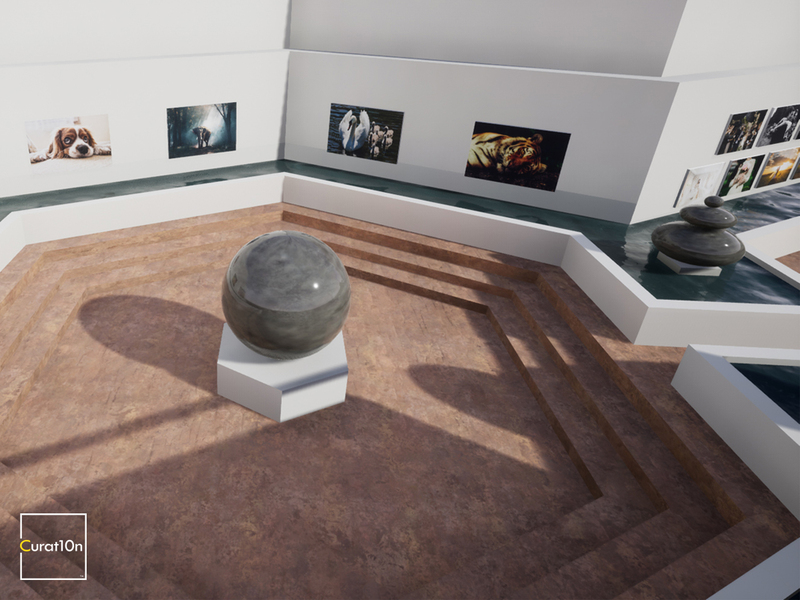 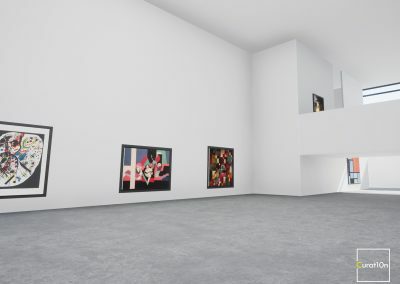 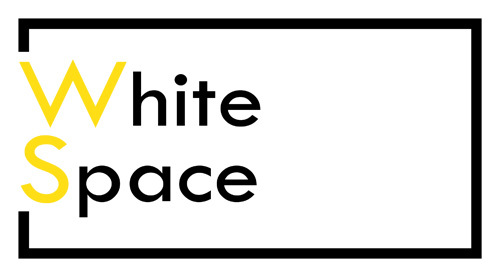 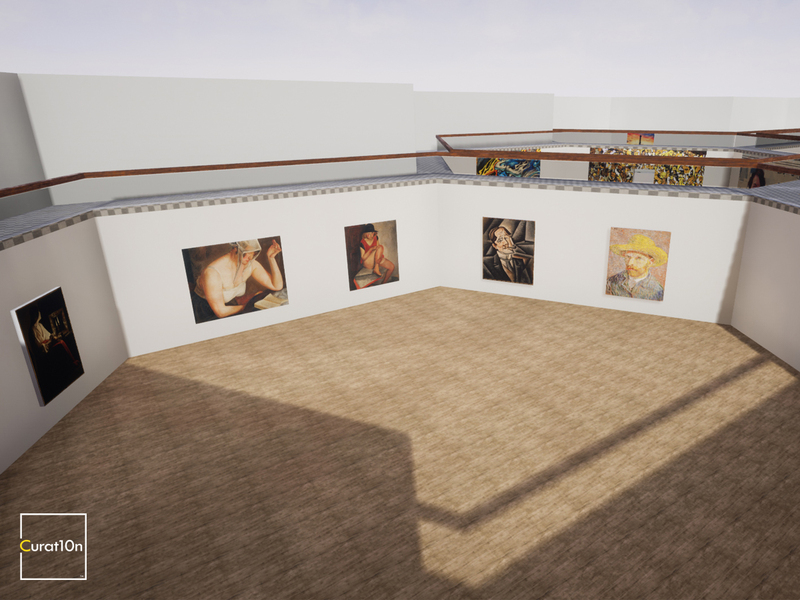 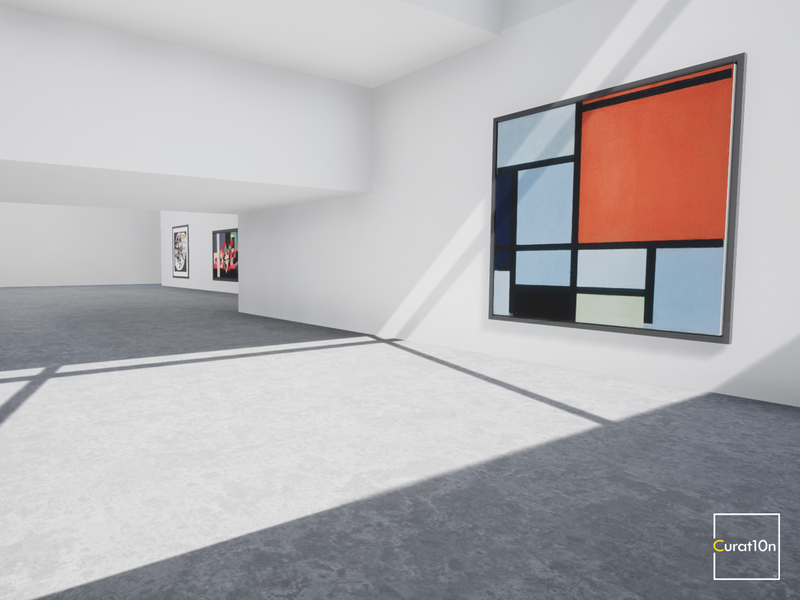 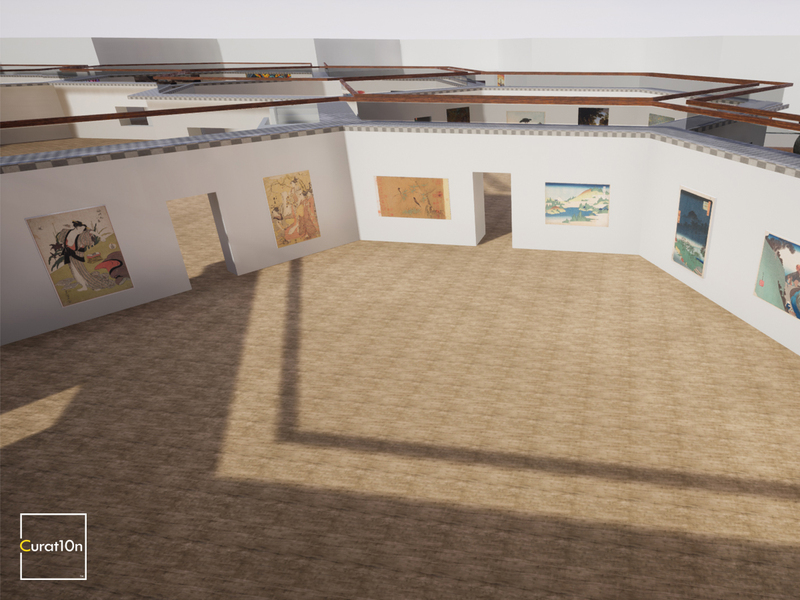 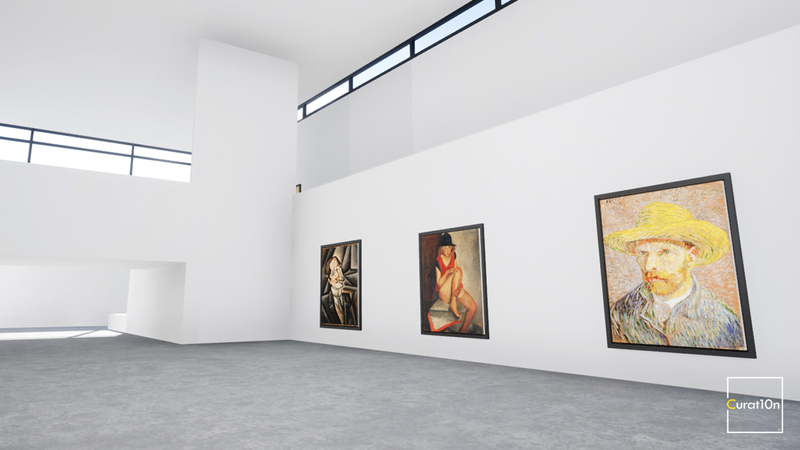 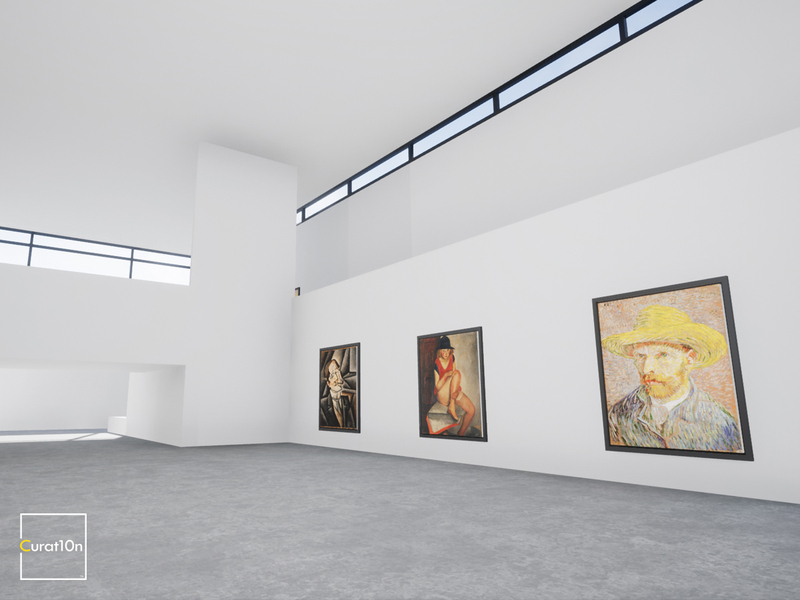 The White Space virtual gallery is a more traditional exhibition space, with modern architecture and a simple layout. 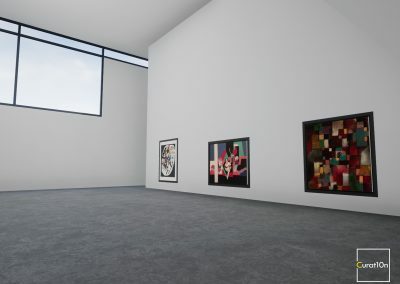 It’s a perfect size for solo or group exhibitions, with space for 20-40 pieces. 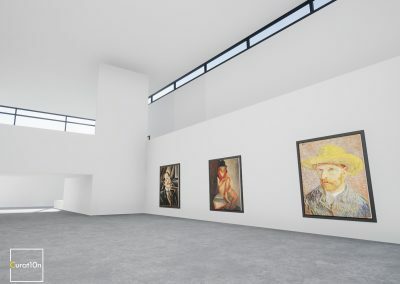 Plain white walls and lots of natural light really show off the artwork on display. 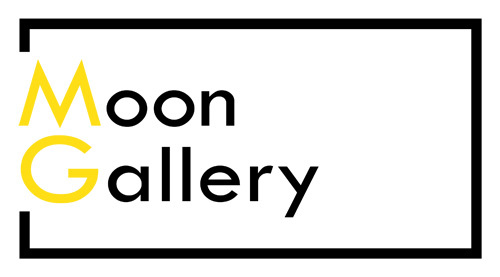 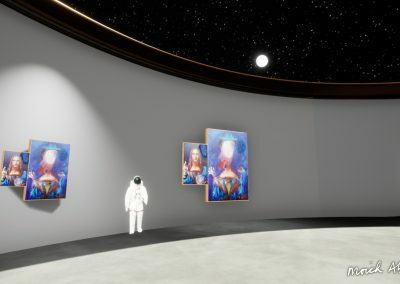 The Moon Gallery is a giant leap forward for an immersive exhibition. 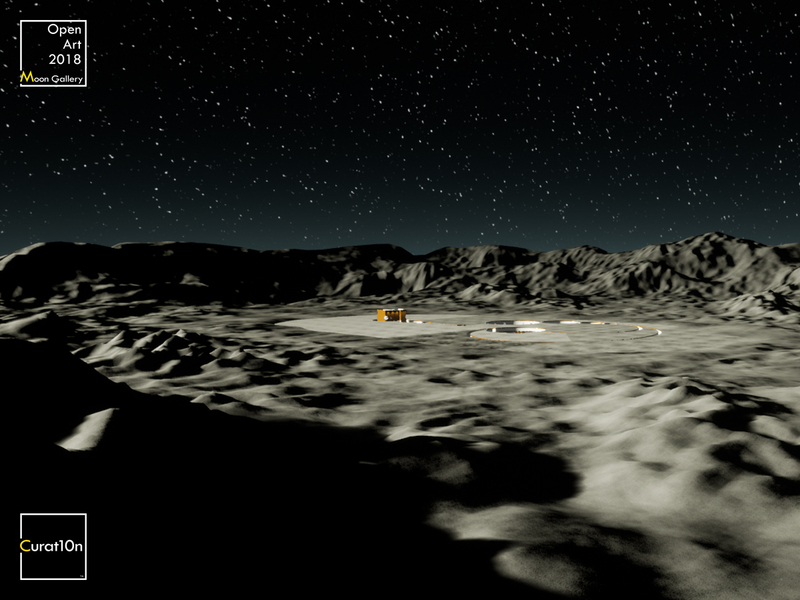 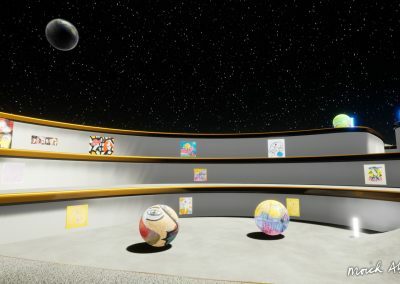 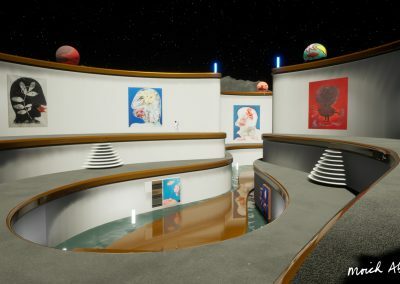 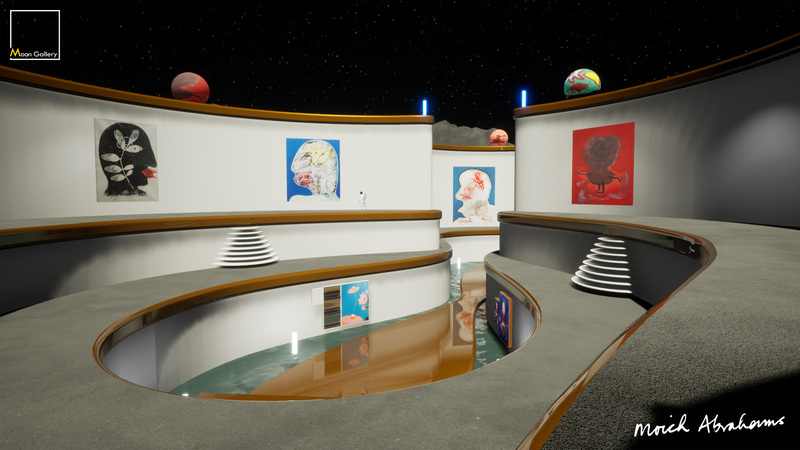 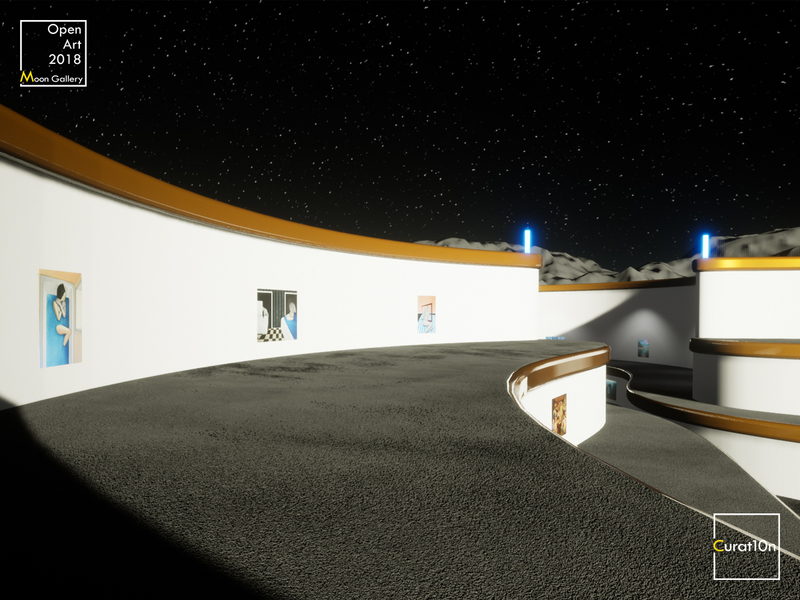 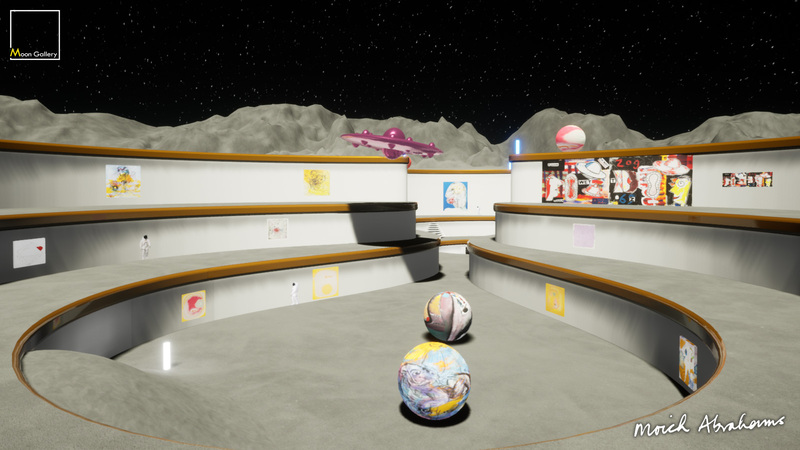 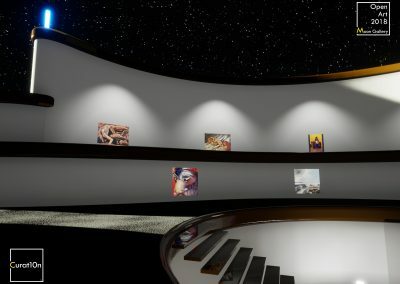 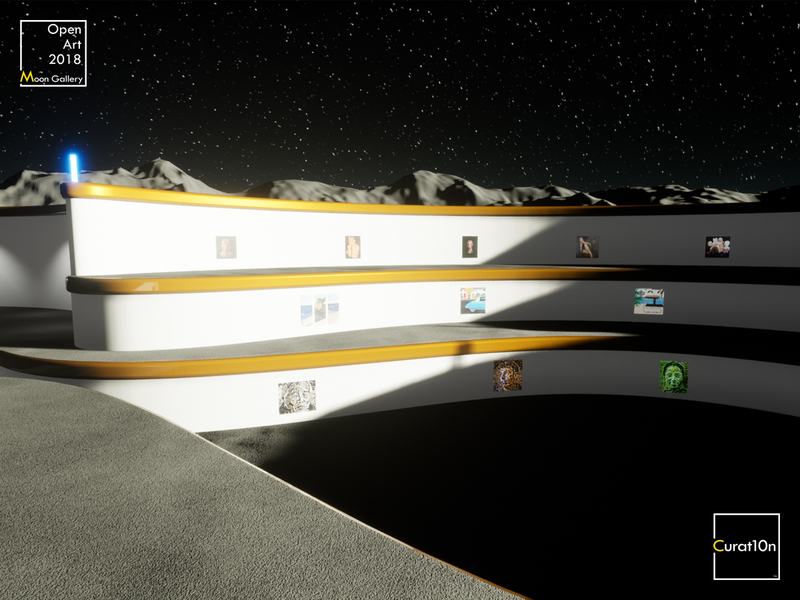 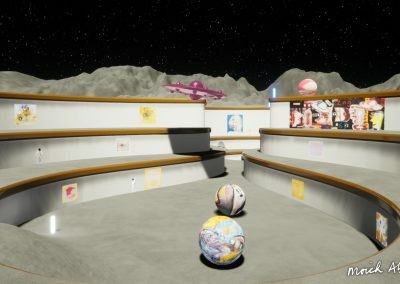 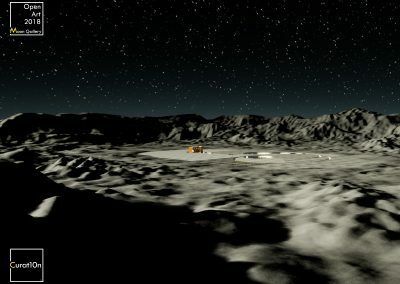 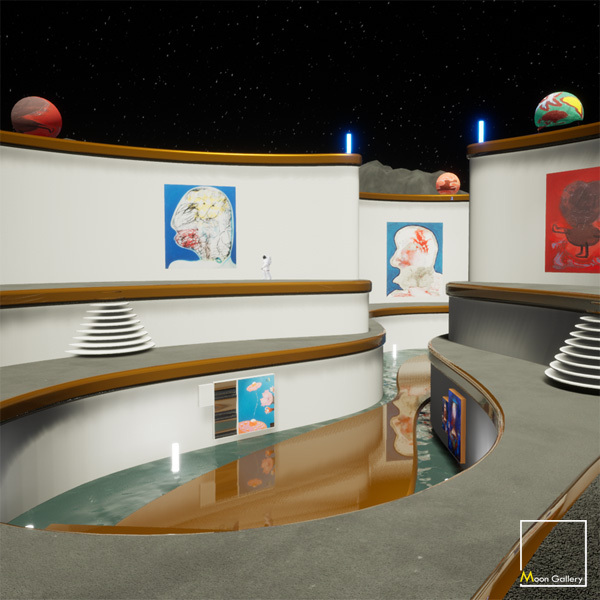 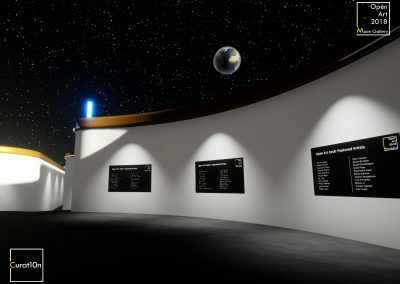 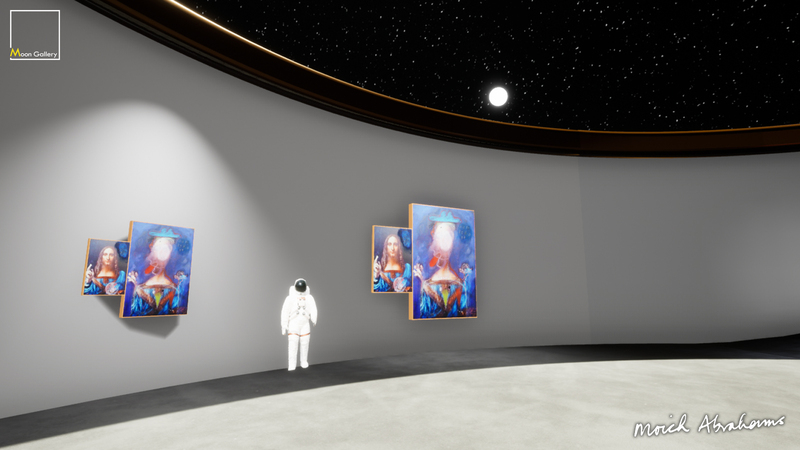 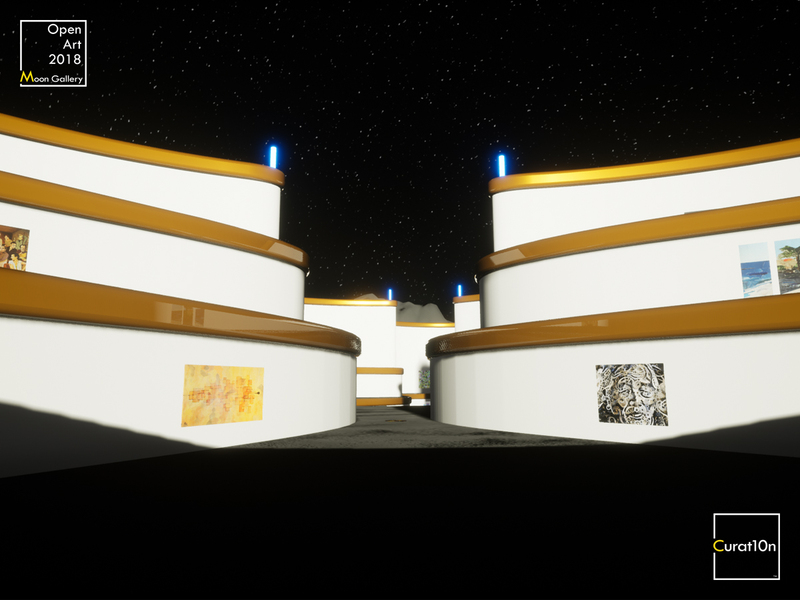 The world’s first art gallery on the Moon features space for 80-150 artworks in spectacular 3D environment. 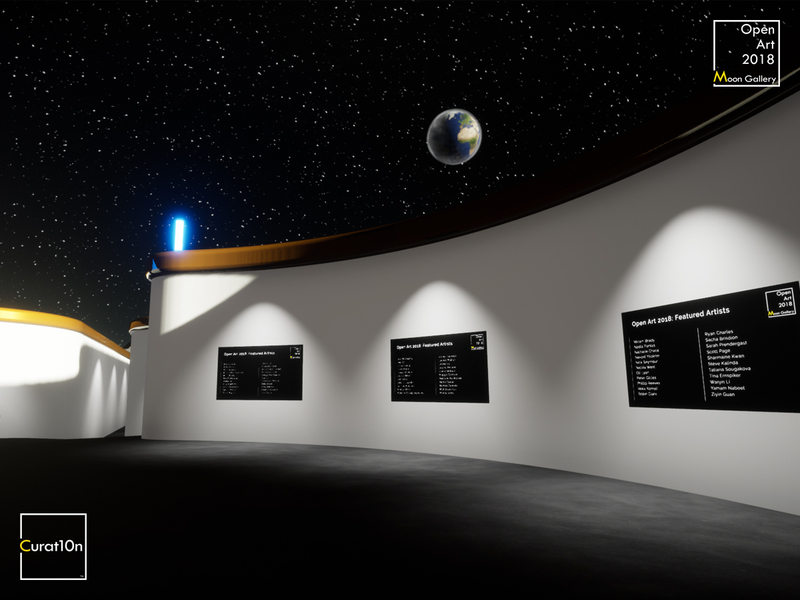 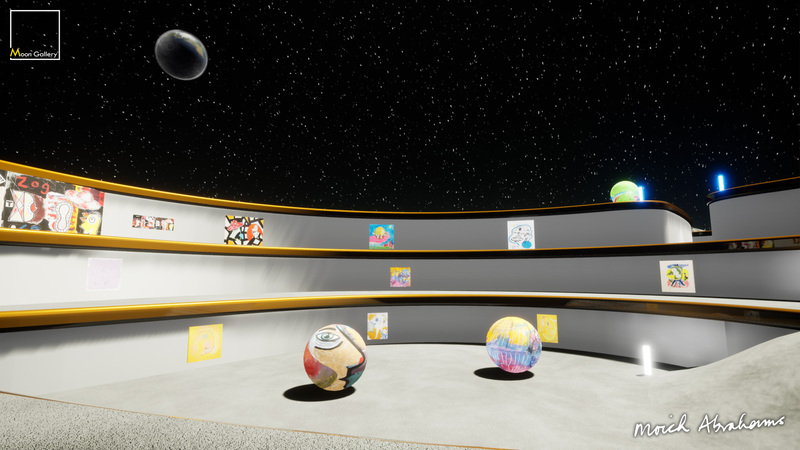 Look up at planet Earth and the stars in the sky as you explore the lunar landscape. 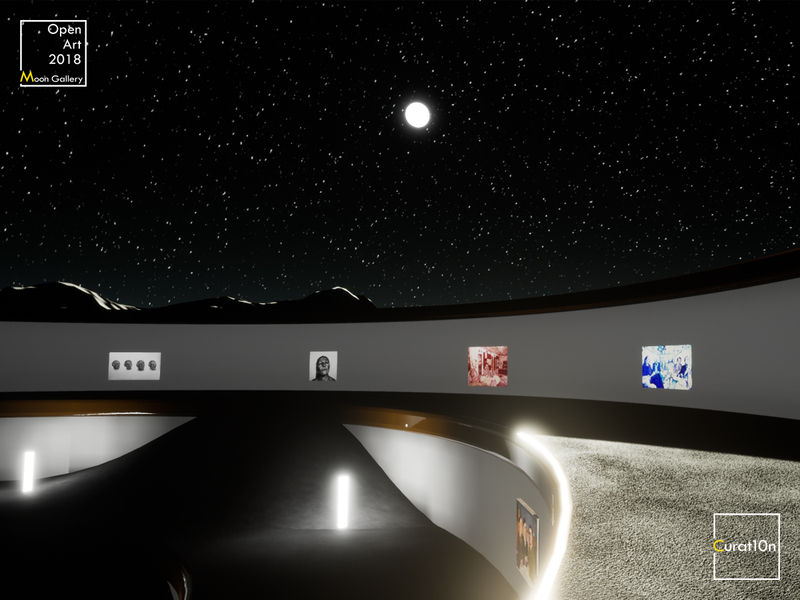 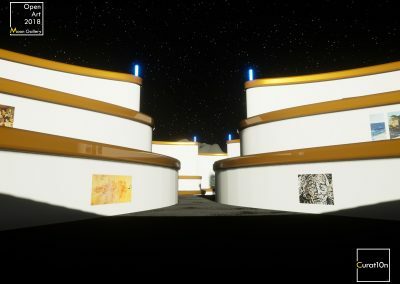 The first solo art exhibition on the Moon. 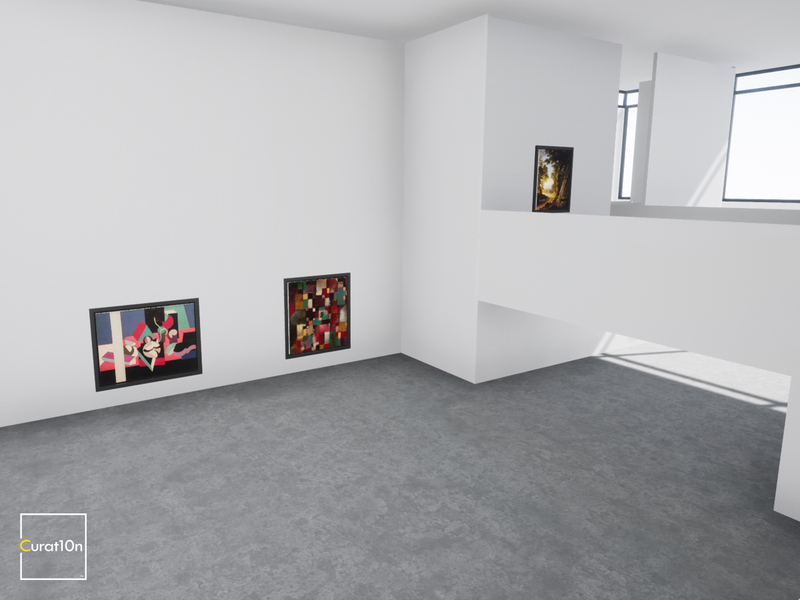 This is a virtual exhibition in the Moon Gallery showing Moich Abrahams’ work from the early 70s to now. 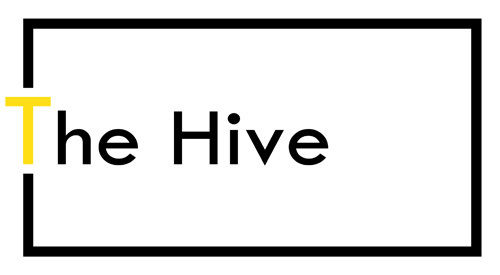 The honeycombe layout of the Hive gallery makes it incredibly flexible. 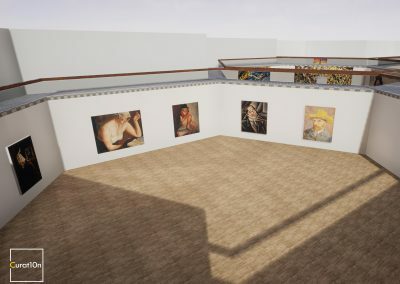 It can be adapted to suit small or large exhibitions, with between 20 and 200 pieces of artwork on show. 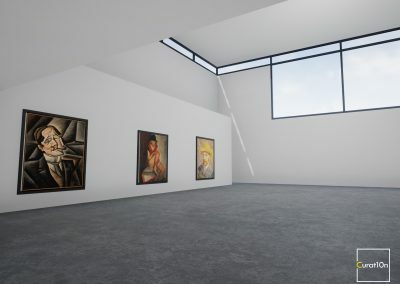 Each hexagonal room can be fitted with a roof, making it perfect for video screening. There is a sculpture garden with beautiful water features, and the entire gallery can be explored and viewed from the balconies above each room. 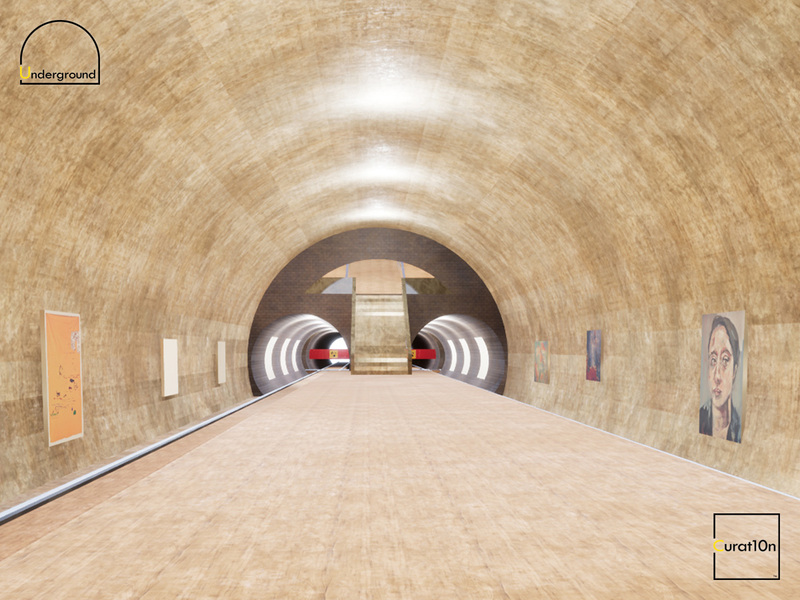 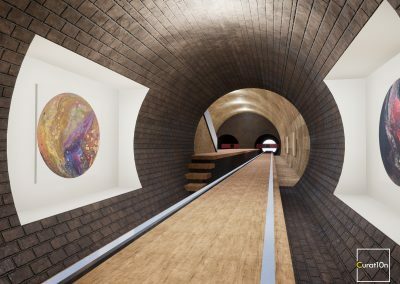 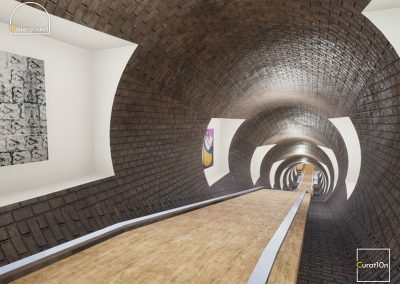 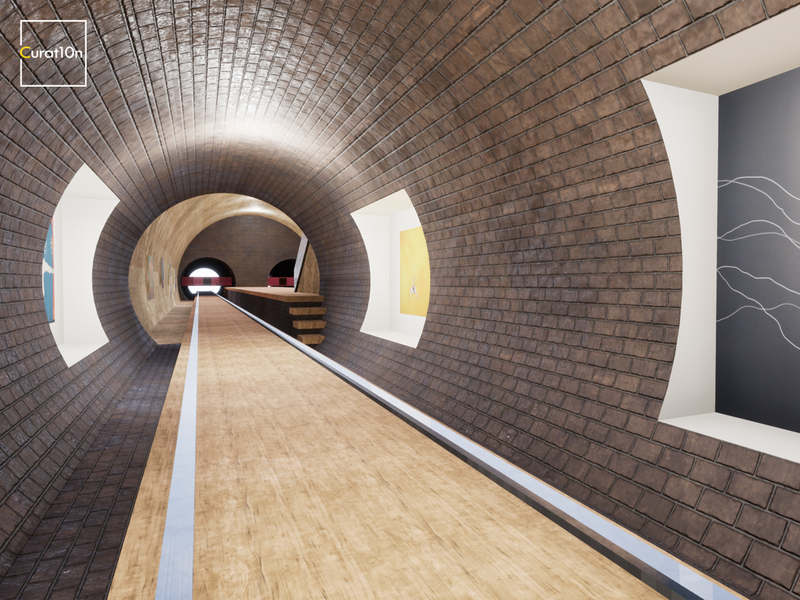 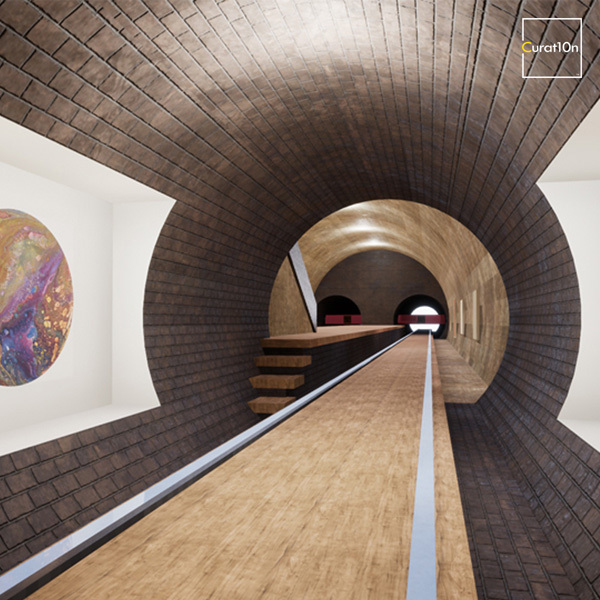 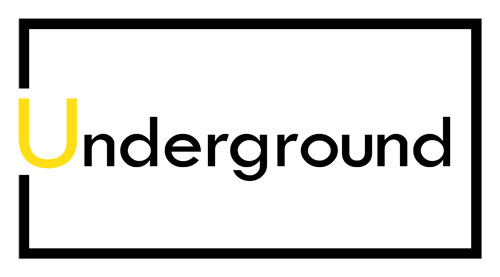 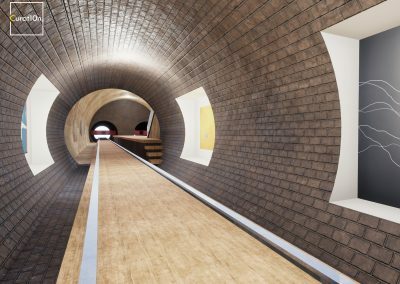 The Underground gallery is a unique exhibition space tht takes viewers into the tunnels and platforms of a subterranean railway. Descend deeper to follow the train tracks and admire the artwork on show in the alcoves of the tunnels.